The procedure of performing an appraisal consists of an estimation which forms an opinion of value. The real estate appraiser must use a several "approaches," typically three, to conclude the estimation of value. One of them is the Cost Approach - which is what it would cost to replace the improvements, minus physical deterioration and other factors, then adding the land value. Easily the most common approach in finding the cost of a house is the Sales Comparison Approach which deals with making a comparison to comparable properties nearby. Usually, the Sales Comparison Approach is the most accurate indicator of worth of a home. One of the least common approaches in appraising homes is the Income Approach, which is mainly used to find the value of a property based on what an investor would pay based on the capital produced by the building. The most important party in discerning the value of a home, an appraiser makes an unbiased opinion on the value of a property used in a real estate transaction. Appraisers will produce a report that displays their analysis of the home. 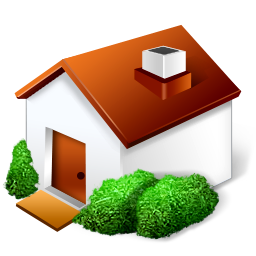 Appraisers do not do perform home inspections and are not home inspectors. A third-party home inspector will inspect the structure of the house, from the roof to the foundation. The standard home inspector's report will contain an evaluation of the integrity of the property's heating system, central air conditioning system (temperature permitting), interior plumbing and electrical systems; the roof, attic, and accessible insulation; walls, ceilings, floors, windows and doors; the foundation, basement, and visible structure. To be blunt, the difference is night and day. The CMA uses market trends to create most of their business. An appraisal is based on comparable sales that can be validated by records. Area and construction prices are also a priority in an appraisal. The CMA will provide a non-specific figure. Delivering a defensible and careful analysis, an appraisal will give a clear opinion of value. All City Appraisal is always willing to talk to you about any inquiries you might have about appraisals or real estate in Los Angeles County. Don't hesitate to contact us today.